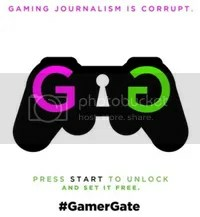 Cut out the gaming press that holds you in contempt, talk directly to the gamers that love your games! If you are on twitter post with the #LetDevsSpeak and let them know how you feel. This is why I love open world games, not because you cans care cats and get them run over but the entire unpredictability of it all. Guess that is why I am loving Far Cry 4 at the moment. Scooter and Tiny Tina from Borderlands deserved the number 1 and 2 spot in this video. The above video pretty much sums it up when a free to play user meets a pay to win user.